France has officially presented to Nigeria the Nok Terracotta artifact that was repatriated after it was intercepted in France while in transit from Togo to the United States in 2008. 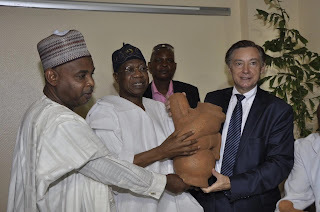 French Ambassador to Nigeria Denys Gauer officially presented the artifact, a Terracotta figurative sculpture, to the Minister of Information and Culture, Alhaji Lai Mohammed, at a ceremony to mark the 2016 International Museum Day in Abuja wednesday. “I will like to thank the French Ambassador especially for his country’s show of support in our fight against illicit trafficking of cultural goods and their untiring efforts at restitution and return of such items. I wish to recommend this ‘French Model’ to other countries,” he said. Mohammed re-emphasised the determination of the President Muhammadu Buhari’s administration to elevate culture and tourism to the mainstream of the economy in its quest to diversify the economy, create wealth and generate employment. 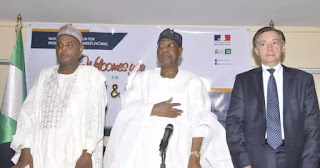 Speaking on the theme of the 2016 International Museum Day, which is ‘Museums And Cultural Landscapes’, he said the administration placed high premium on the development of the nation’s cultural sites and their utilisation as veritable tourism products. “We are positive that in our quest for the diversification of our economic base, this section will provide the needed instrument to actualise that goal,” the minister said. 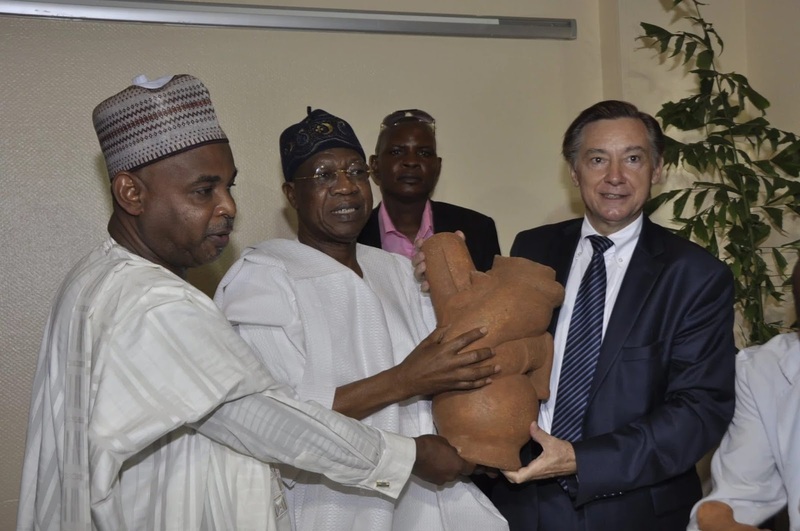 In his remarks, the French ambassador said the presentation of the Nok Terracotta artifact was in line with the international law and within the framework of the 1970 UNESCO Convention aimed at preventing the illicit import and export of ownership of cultural properties, which was ratified by both France and Nigeria. Ambassador Gauer said the artifact was intercepted in France as it was being taken to the United States on October 22, 2008.